The Bear Creek® Gift Box is named for the orchards in which our founders started our company. 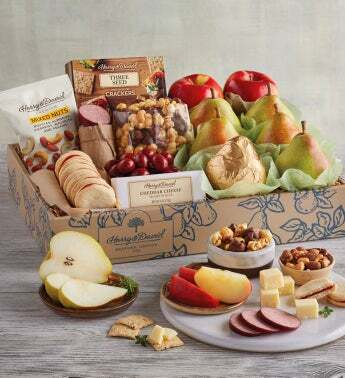 True to its name, it includes the famous Royal Verano® Pears that started it all, plus more sweet and savory snacks such as our exclusive Moose Munch® Premium Popcorn, cheddar cheese, and premium sausage. Substantial and delicious, this is a gift to be savored and shared.